This is part 2 of the Quilting 103 class if you are taking that series. You may also sign up for this class as a stand alone class. Terri will introduce the ins and outs of machine quilting with a walking foot. A table runner is the perfect size project for this class. 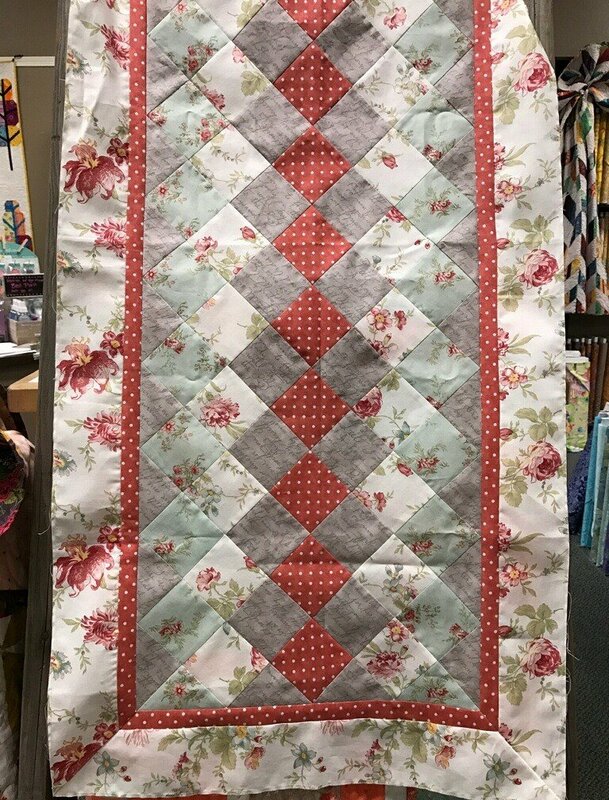 We offer a 20% discount on fabrics, tools and notions with a paid registration for this class through Honey Run Quilters. Please bring your walking foot and marking tools. You will need a project to quilt for this class. The table runner from Q103 is the best project for this class.